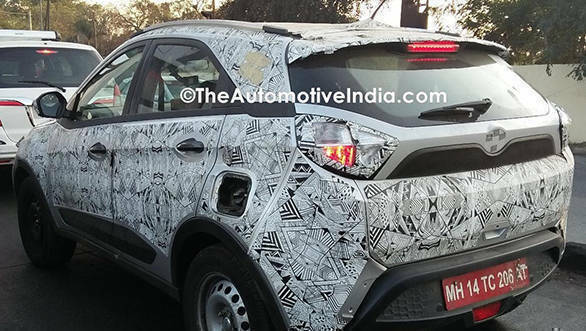 The news of the Tata Nexon compact SUV being spotted testing in and around Pune, Manali and even Leh has been hogging web pages for quite some time. 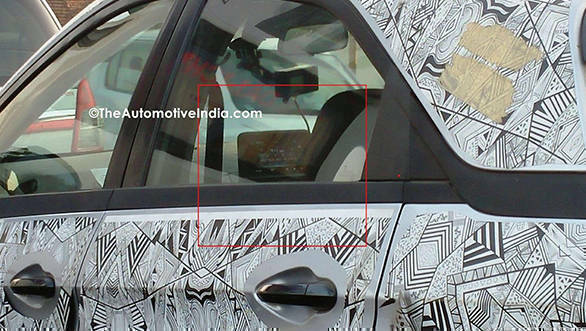 The new bit now is the Nexon being spotted with a floating touchscreen unit. The car in question looks to be wearing the base variant's clothes with black plastic door handles and steel wheels. It also had a manual dimming IRVM. The touchscreen unit seems to be the one we have seen in the Tata Hexa. It will most likely be paired to an 8-speaker output. At launch, which is likely in the second quarter of this year, the Tata Nexon will be the only SUV in its category which will have a pop-up unit. The screen will also have Map MyIndia navigation maps and other features found in the Tata Hexa. Other features of the Tata Nexon spotted here include reverse parking sensors, an unlock sensor for the boot, black plastic cladding on the sides, 16-inch wheels and roof rails. There will be most likely a new diesel engine option for the Nexon. It is expected to be a 1.5-litre turbocharged unit that should make around 100PS of power and 250Nm of torque. It will be mated to a 5-speed manual as well as AMT. The Tata Nexon's Revotorq engine will be tuned more for driveability than outright performance. The Nexon SUV showcased at the expo looked nearly production ready and it should only be a matter of time (read Kite 5's launch) before the car goes on sale. At launch, it will be up against established players like the Ford EcoSport, Mahindra TUV300 and also the Maruti Vitara Brezza. Going by the pricing of Tata's last launch, the Tiago, expect it to be cut throat.